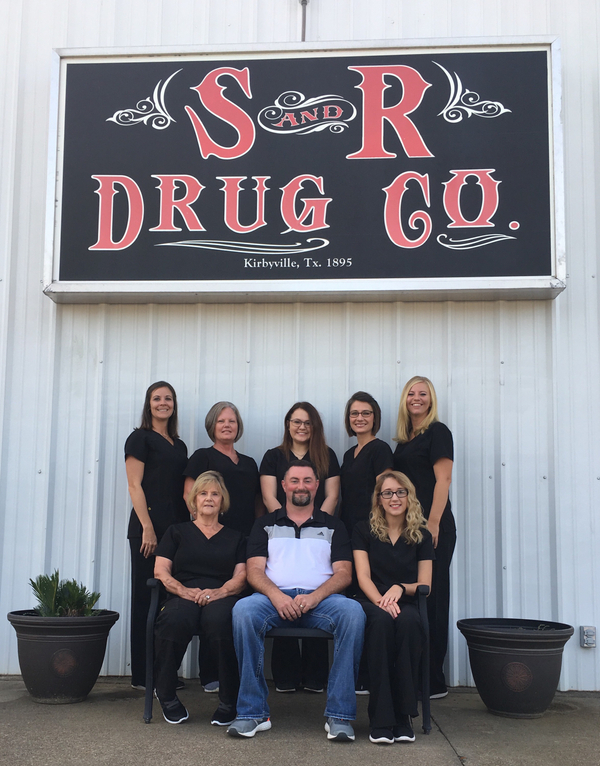 Nestled in the heart of the East Texas Piney Woods, S & R Drug Co. is located in Kirbyville, Texas. We staff one full time pharmacist, three part-time pharmacists, four certified pharmacy technicians, three clerks, and two office personnel. S & R Drug Co. was established in 1983 and has never looked back. Today S & R is a full service pharmacy, specializing in Retail Pharmacy and Custom Compounding. We also offer a full line of diabetic shoes and supplies to help meet the needs of our ever growing diabetic population. We have brought in many of the latest technologies to help us continue to be faster and more accurate so we are able to spend more time helping our patients. As always, we still offer fast, friendly, and personal service at S & R Drug Co.